So yesterday was Halloween and although the calendar says it's November 1st. I know it's Texas and all, but 90 degrees in the Fall just doesn't work for me. 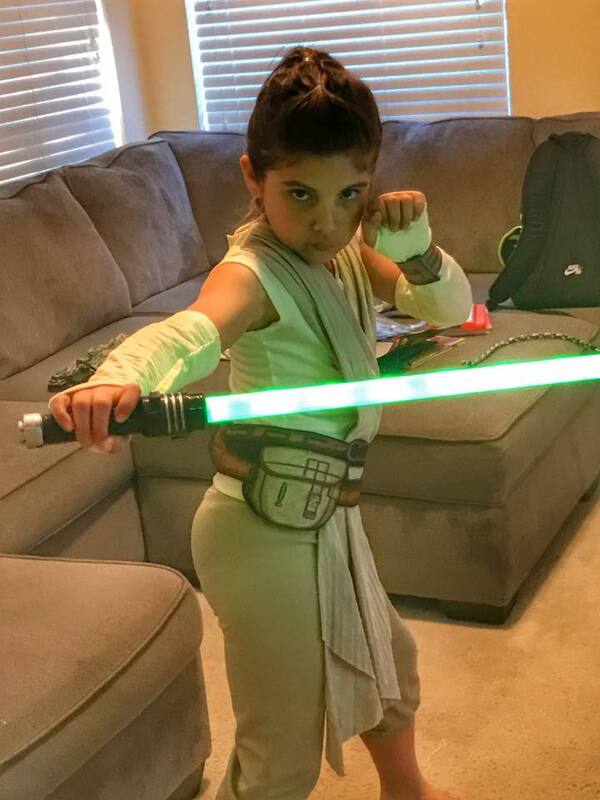 Bella went as Rey from Star Wars & dangit if she wasn't the cutest! I did her hair just like Rey's and it came out perfect... well almost! only downfall was this morning trying to wake Ms. Rey up for school! I'll post the recipe on the blog!